Has NBC's "Today" show just started a brand-new winning streak? On Friday the network celebrated four straight weeks of ratings wins in the category that matters most to morning show advertisers, viewers ages 25 to 54. "'Today' is #1 for a month," NBC's press release declared, calling this the show's "best winning streak in more than three years." ABC's "Good Morning America" is, of course, eager to end this embryonic streak before it gets any longer. ABC famously pulled ahead of NBC in 2012, snapping a 16-year winning streak by "Today," partly through smart strategy and partly by capitalizing on its rival's screw-ups. "GMA" has been winning pretty much ever since. But the "Today" show has gained a lot of ground this year. In June NBC News executives were thrilled that the show won three out of four weeks in the 25- to 54-year-old demographic. Earlier story: "the 'Today' show is staging a comeback"
The latest sign of that momentum is this four-week streak. The race remains neck-and-neck, with each show averaging about 1.6 million viewers ages 25 to 54. But last week "Today" was ahead of "GMA" by 154,000 people in that demographic, its greatest lead in 18 months. "GMA" remains #1 among total viewers, which measures overall popularity. But "Today" is getting closer. This time last year, "GMA" was ahead by 1.07 million viewers. Now — as of last week — it's ahead by 446,000. 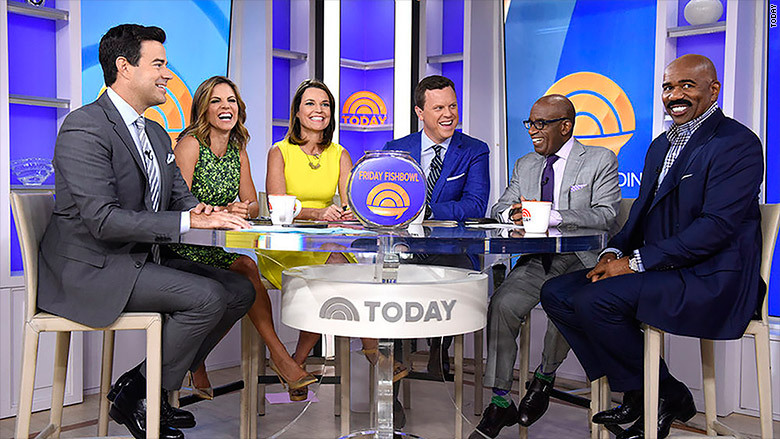 NBC executives have credited the chemistry of its cast — led by Matt Lauer and Savannah Guthrie — and creative programming choices for the ratings progress. ABC News executives always anticipated a comeback by NBC; after "GMA" pulled ahead in 2012, the news division president Ben Sherwood counseled his producers and hosts to "play each day as if we're half a million behind." Sherwood, now the president of the entire Disney/ABC Television Group, has kept the pressure on, saying that an "underdog" mentality is crucial. He told The Wrap last year, "We need to play like underdogs, we need to worry like underdogs, we need to constantly be vigilant like underdogs and we need to try harder like underdogs."